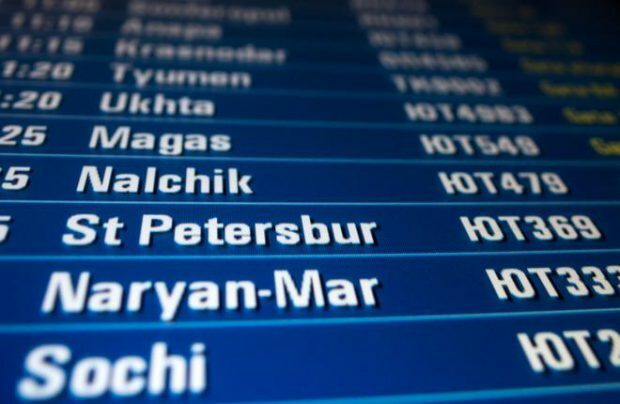 The sales of air tickets through Russian travel agencies will demonstrate slight growth in 2017, Alexander Russ, president of the Transport Clearing House (TCH) told the audience of the Online Travel 3.0 conference in Moscow. The share of sales of tickets for regular flights through Internet will soon exceed the share of traditional off-line distribution channels. According to TCH which has its own air ticket billing and settlement system, the volume of sales of regular air tickets through travel agencies will reach 58.9 million passengers, up 1.8% from what is expected this year. Notably, contrary to the trend established this year, the growth is expected to manifest itself on domestic as well as on international routes. Whereas the domestic traffic growth is forecast at modest 1% rate (to 39.7 million passengers) the radical turnaround is expected on the international destinations, which will stop sliding and eventually start climbing. This year the international segment will shrink some 10.2%, and next year the TCH experts expect to see 3.4% growth, to 19.2 million passengers. Alexander Russ told Russian Aviation Insider that money-wise the market volume amounts to 450 billion rubles (about $7 billion). He also confirmed that Russian travel agencies are rapidly increasing the share of on-line sales. Whereas in 2010 online was accountable for only 7% of the entire sales volume, this year the share is equal to traditional off-line distribution channels. TCH estimates that in the first ten months of this year 47% of sales were generated by passengers between 25 and 44 years of age, 57% of whom were male passengers, 94% of all passengers were Russian citizens.